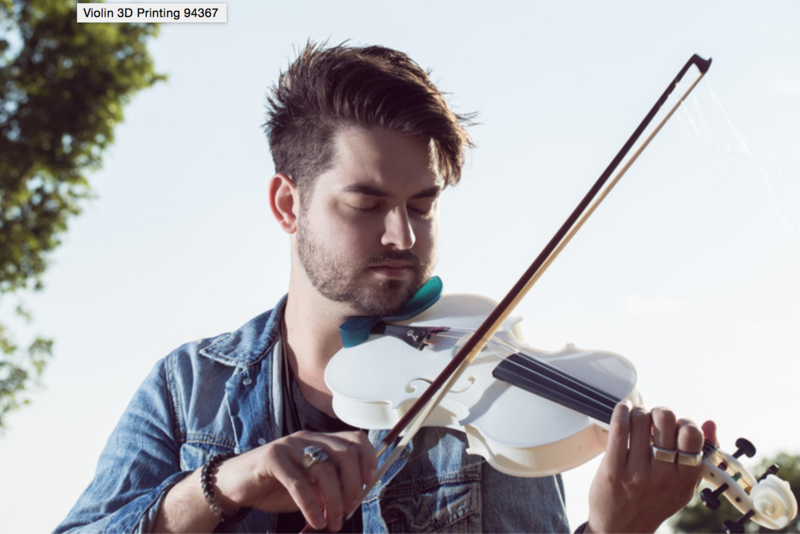 Learning Violin As An Adult | Am I Too Late For Violin Lessons? 1.1 Why Do So Many People Say You Can’t? 1.4 I’m Convinced! What Now? 1.4.1 how much to spend on a violin? If you have ever considered taking up any kind of musical instrument as an adult, you may have found yourself asking others for their opinion or advice on if you are too late or not. Almost 100% of the time the person you ask all of a sudden becomes a musical education expert. Violin is no different, countless people seem to have been told the same old story that you are not able to learn the violin as an adult. Well not only is this statement mostly told by non musicians, it is also completely NOT TRUE. There have been countless examples of adults proving this wrong! What is even better is that often learning violin as an adult or even a different instrument can actually end up being easier and faster to get started. Now that we have that out of the way, we will go through a few things you need to know when learning violin as an adult. Why Do So Many People Say You Can’t? First of all we will discuss why so many people get the idea that learning an instrument can not be done as an adult. Hopefully this will help clarify why so many people have it completely wrong. There are many reasons why people say it is too late to begin learning violin as an adult. Many people believe that as you get older you are less likely to be able to learn new skills. Similar to the saying you can’t teach an old dog new tricks. Again this is completely untrue. A lot of people have used it as an excuse for themselves not to pick up an instrument. They may have even done this so many times that they actually believe it and are sharing that belief with others. Adults do have a lot of time commitments such as work, families, relationships and many more. With all of these, it can seem impossible to squeeze in any amount of practice that is required to begin learning violin as an adult. However although it does take a bit of will power to add an average of twenty minutes to half an hour of practice every day, or every other day. When you take time to think about it, this is no different to anyone who decides to take up walking, jogging or even going to the gym. Have you ever heard anyone say that you can only run if you are young? No? of course not! This is no different to learning an instrument as an adult. As mentioned it just requires a little will power, organisation and practice. It is really worth the little bit of extra effort as it can be extremely rewarding learning something new like the violin. The fact that you are mentally developed enough to be able to self analyse and use critical thinking in order to improve is one reason. For example there may be something that you are struggling with, like holding a bow correctly. Most adults will seek out what they are doing incorrectly, or if they are unsure, will ask a teacher or someone to correct them. Once they have found or been told the problem, they are able to focus on a way to fix the issue. This gives you an advantage allowing you to learn and pick up the skills required to play correctly. Adults are also able to learn how to read music a lot faster than children. Most young students start the violin around the age of 5-7 years old. At that age they are still learning how to read words or develop their reading skills to more complex levels. You have the advantage here because although reading music isn’t quite the same as reading words, it is similar. You have years, sometimes lots of years (no offence) of reading time under your belt. Once you start to recognize the different note names and positions, reading music will become a lot faster. 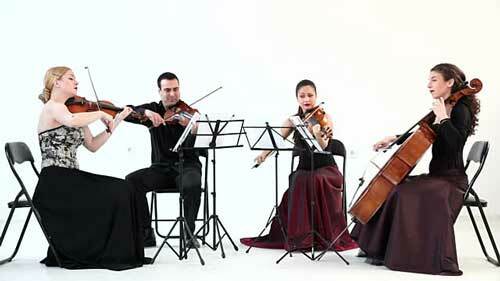 You will also be able to concentrate and have more focus on reading music as opposed to a young child. 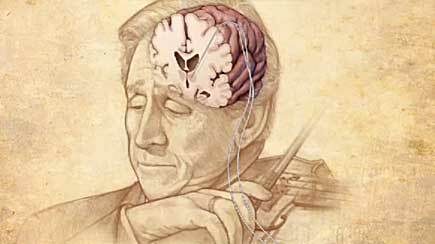 The physical requirements of playing a violin also work to the advantage of an adult learner as well. In order to play the violin, your whole body must use correct posture. Your arms, wrists and fingers must all be in the correct position while being relaxed and comfortable enough to play correctly. It also requires a bit of strength in your fingers to play notes. The physical strength of an adult violinist as opposed to a child is a great advantage as it allows you to practice for a longer amount of time without as much fatigue as a child learner. This allows you to speed up the development of techniques, exercises, and general learning because you will be practicing more in a shorter time frame. Motivation can be a great advantage to an adult. 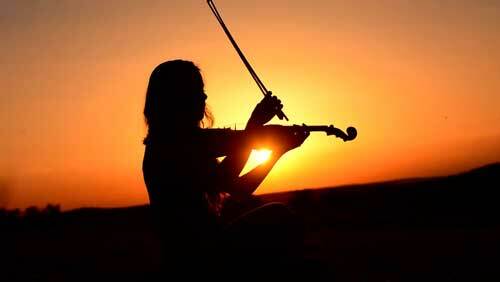 Adults who take up learning the violin often have strong desires for learning the instrument, or are emotionally attached to the idea of playing the violin. You may have always wanted to learn but were never able to due to a range of circumstances. 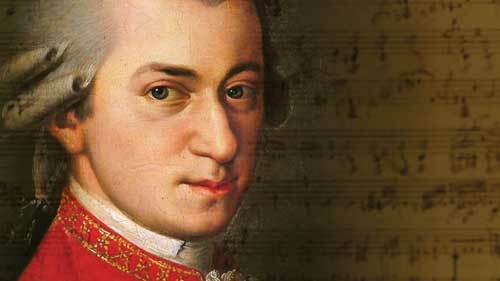 Your music taste might have pointed you towards violin and you may have been inspired to learn at a later age. There are many reasons and even if something like this is not the case, you will still be much more motivated than a child to practice and learn. These are only a few basic reasons, there are many more as well as a few disadvantages, however the positives outweigh the negatives by a long shot. These are the main ones but there are many more. Learning the violin requires a lot of co-ordination, practically everything in your body must be working correctly to allow you to play to the best of your ability. This in turn also means that you are using a lot of mental power to control all of these movements. And then of course you are also concentrating on what you are actually playing. 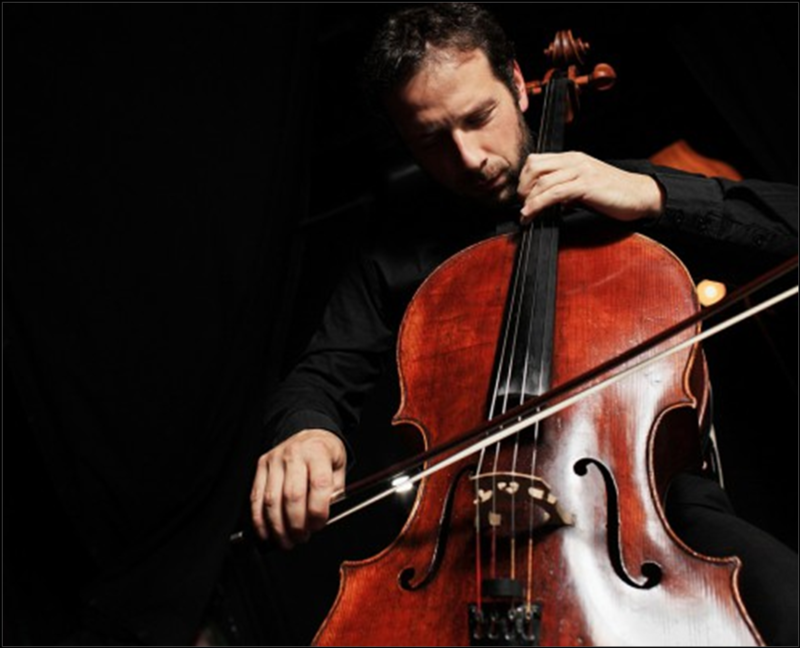 For example you must also be aware of the pitch and tone of the notes, the rhythm, reading the music, playing the correct notes, using the correct fingers, keeping time, bow position, holding the violin and bow correctly, expression and much more. First of all if you are new and reading this, don’t let the above paragraph put you off! If this sounds too overwhelming for you right now, that is a good thing. When learning to play – providing you are signed up for good violin lessons, you will be taken step by step gradually through the process. You will learn to be able to mentally handle more and more movements and be able to concentrate on more at once each time you practice. This is why it is an excellent mental challenge to learn. Even if you take it slow and are only interested in playing casually, it will still have a positive impact on your mental ability for which you can apply to other things in your life. Your memory will improve, you will even be able to think a lot faster. Playing an instrument can be a great stress reliever as well, it allows you to isolate your thoughts and clear your mind of the day to day things that can be stressing you out. When you are playing or practicing, you are only thinking about playing the violin, that alone will help ease the stress. Plus when you start to improve and begin playing pieces of music, it is also relaxing and it allows you to express your thoughts in a creative output. Learning violin as an adult also has many physical benefits. As already mentioned, you are required to use almost all of your body to play certain things correctly. This is great for you and you may even notice your upper body strength increase. You will be using most of the muscles in your wrists, arms, shoulders and chest. Having the correct posture is an important part of playing the violin, as an adult you may have grown to have some issues with posture. Playing the violin can help with that because the correct posture for violin playing is also related to how people are supposed to be sitting and standing regularly. 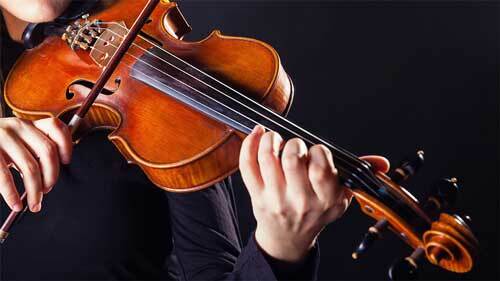 Thus playing the violin improves your posture and stance. You will also have greater hand-eye co-ordination and improved dexterity in your hands and fingers. Learning to play the violin opens up your social circle to include a wide range of like-minded people who you may have never met had you not taken up violin. Your instructor may encourage group practice sessions and put you onto a group of people who share the same common goal of improving their abilities and enjoying playing music. You will also have the added benefit of playing what you have learnt to your friends and family showing how much you have improved and maybe even inspire someone else to pick up an instrument. You may have just convinced someone else that they can learn violin as an adult by playing your latest piece of music. If you are really adventurous you could join a community orchestra or church group to engage with other musicians and develop your skills further. Hopefully this article has shed some light on some of the great reasons that you should learn violin as an adult. You should now be aware of why people try to convince you that it is impossible (it’s not impossible!). Also you will now know some of the great benefits that can come out of learning to play the violin. If you are looking for a place to start your journey read the next few paragraphs to find out a few tips and advice for adults looking to take up violin lessons. It is a great idea to think about your goals for learning violin as an adult, are you wanting to learn your favourite violin piece and become a great violinist? Are you looking for something creative to work on as a hobby and always had an interest in violin?. You may only have a casual interest and want to take it up as something fun to do, or you may want to take it more seriously. What ever goals you come up with, there is no wrong answer. People learn instruments for a lot of reasons, the important thing to find out or at least get a rough idea of is your goals and reasons for learning. This will help give you a very good idea on what you need to focus on and also what questions you need to be seeking answers to. how much to spend on a violin? If you have wanted to learn the violin all your life and have only just decided to jump in and start. It is pretty likely that you will stick with lessons and learn as you will be fulfilling that desire to learn to play. Therefore you will be better off spending a bit more on a higher quality violin as you are a lot more likely to stick with it, plus you will get the added bonus of playing a great instrument that you enjoy. With that being said, if you are just a casual learner it could be worthwhile purchasing a decent violin (providing you can financially, if you simply can not afford a higher quality one then the standard priced ones will do just fine). Adults are more likely to get the best enjoyment out of a higher quality instrument, they tend to progress at a quicker rate. Therefore they will notice the benefits of a higher quality and better sounding instrument as opposed to a child who will most likely only notice if it is a different color. As an adult you are also more likely to stick to learning an instrument and not change your mind in a week or two to learning another instrument. Another quick tip is to ensure the violin and bow are maintained regularly and well set up. It can be hard finding a good music teacher who is able to fulfill your needs as an adult player. It is not impossible though. Make sure to take the time and ask questions or do research on who or where you will be learning. 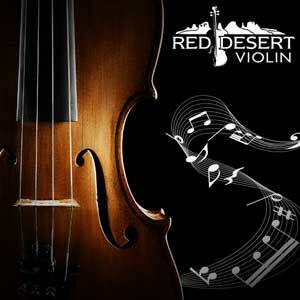 We recommend Red Desert Violin as a great place to start with violin lessons online. Online lessons can be very convenient for adults and teens to help improve as they always have access to lessons. 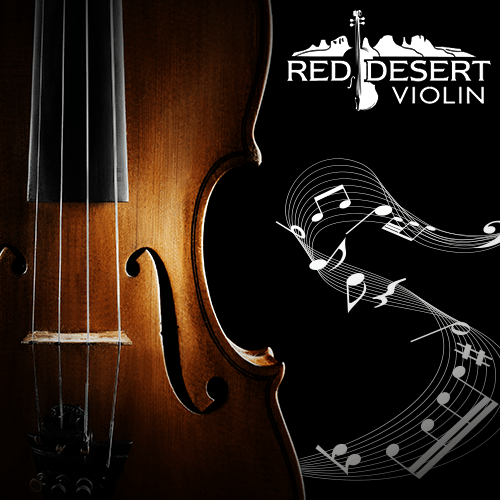 Red Desert Violin provides a high quality, fun and affordable learning experience that will help get you on your way to playing in no time at all. Read Our Review Here. This is an important step which surprisingly a lot of people seem to skip. 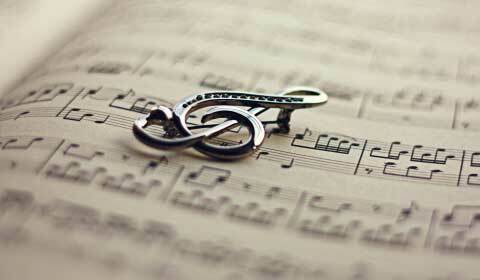 If you are wanting to learn a particular piece of music, get to know it! Listen to it carefully and try to become as familiar as you can to that parts you are learning or want to learn. This will help you a lot as you will be able to easily recall how a part is supposed to sound when it comes to learning or practicing, and it will be easier to try to recreate the sound. Learning violin as an adult does require some time and effort but it is important to know just how that time should be used. A good thing to remember is that multiple short practice sessions during the week are so much better and more helpful than one long session during the weekend. You need to be using the movements in your body regularly in order to retain and build the skills required. Practicing in large clumps on occasion will actually slow the learning process as your muscle memory and dexterity does not get used enough to improve, therefore it stagnates. There will be the odd time that you are unable to practice for the odd week or two and these things happen, what is good is that once you jump back to regular short practice sessions the skill level quickly comes back. This has been quite an in-depth article for those interested in learning violin as an adult, we hope that you have enjoyed reading it and are convinced that you have the ability within you to pick up an instrument regardless of your age and begin learning. If you have found this article helpful or have any further questions, let us know in the comments and we will be glad to assist you.